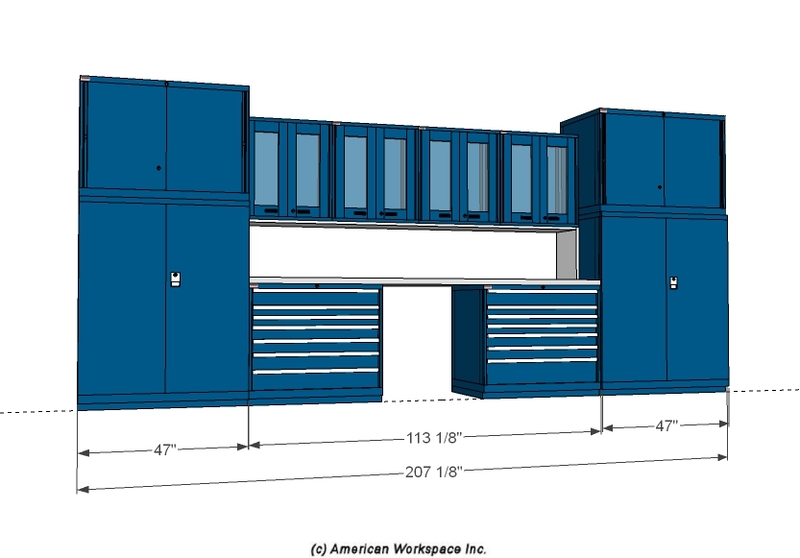 Professional Storage, Workspace, and Workshop Gear - American Workspace Inc.
American Workspace provides Storage and Workspace Solutions for Manufacturing, Maintenance & Repair, Motorsports, and Home. We are distributors and re-sellers of the finest American made professional grade products. Easy to buy American-made products from Bally Butcherblock, Lista Storage and Workspace, Reelcraft Hose Reels, Stronghold Workforce, and Vidmar Storage. Our American Workspace T-Shirt is free with your purchase of $50 or more while the supply lasts. 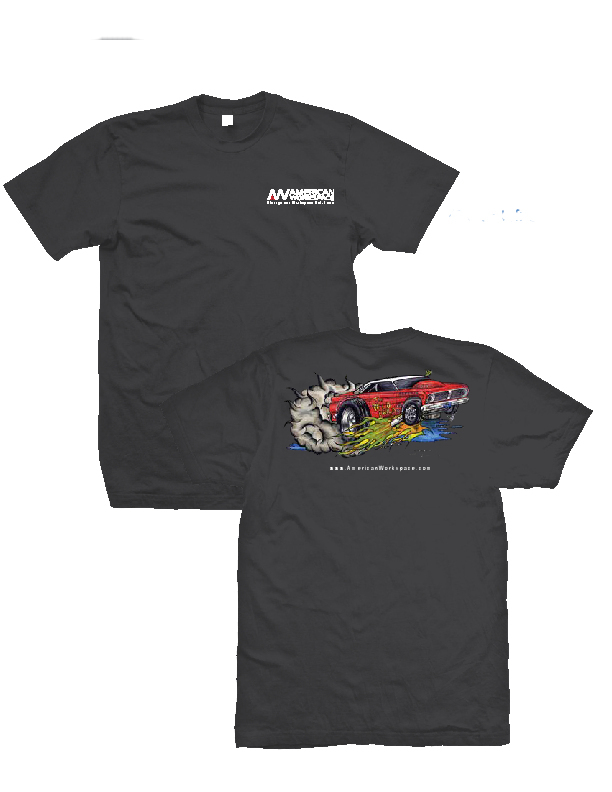 These are really great T-Shirts with our logo on the front and a caricature of our authentic AFX Lightweight Drag Car on the back. Wear it with pride; get yours today. Get our absolutely FREE 3D Cabinet Builder Model. Available for Download Right Here. We are adding new products and trimming prices on everything. We now have additional discounts for EFT payments. Buy a lot, get even better pricing. If you can't find something you need or could use some totally free technical support, call us at 800-618-8028 or use our Contact Us form. We would be happy to help. Call 800-618-8028 for a Shipping Estimate. Read our Shipping and Returns policy. We run our American Workspace business with real people. Call us at 800-618-8028, Contact Us or Email Us. We take Credit Cards, PayPal, Approved Net Terms, and Electronic Fund Transfers. Feel free to Contact Us or Email Us to discuss payment options. Do you need something special; Maybe a Twist of the Theme? We have been doing specials for years and can usually fine tune accordingly. We have thousands of American-made products online and probably 10 times more actually available. Need something special? Give us a call at 800-618-8028 or Contact Us.